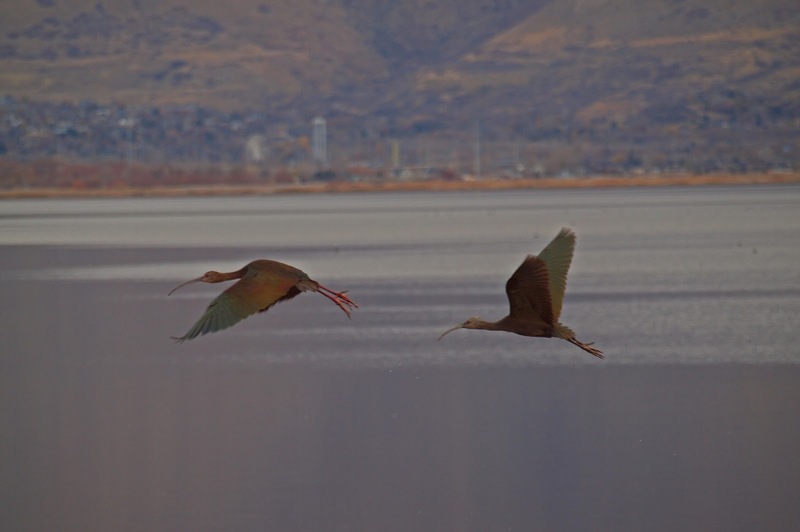 White-faced Ibis at Farmington Bay, Utah. Can Utah residents pick out the landmark in the background? * Lillian Stokes: it was all good this week at Stokes Birding Blog. See for yourself! * Kelly Riccetti posted a book review and some awesome Bonaparte's Gull paintings. * Rob Ripma was interviewed about birding for a news article. * Dan Huber had great posts all week too. I especially liked the Snow Bunting and Sanderling photos. * Rob Fergus successfully chased a pink-footed goose and is now on his way to New Zealand. Lucky! * Kathie Brown went In Search of Sandhills Cranes and got some lovely photos. * Steve Creek shares A Different Kind of Snow in Oklahoma, a Mugging, and a Frost-covered Owl. * Scott Simmons had a fantastic series helping us learn Heron and Egret i.d. 's with stellar photography. * Jeremy Medina's classroom Show and Tell was extra special. See why! * Mia McPherson posted more fabulous bird photography. Don't miss a single post! * Pat Bumstead's BirdCanada sure has had some nice guest blog posts the last couple weeks. * Snowy Owl Mania: Tails of Birding, I used to hate birds., and The Nemesis Bird among many others! * Alex Vargas bird photography rocks! So does Jill Wussow's. * Nice Little Owls at Owls about that then! * ABA Blog - Don't you already follow every post! You'll see posts from there now and then related to the ABA Bird of the Year. Check out the cool auction items...amazing stuff! * Rick Wright's Birding New Jersey and the World. Perched on the luggage rack of a duck hunter's SUV. I liked the high fashion pose and feather iridescence revealed by a brief moment of sunshine. There's some great stuff here; it's such an honor to be included with the others. Solid work again compiling all of these great birding resources, thanks for your hard work Robert. Does that Grackle have only 1 leg or is that the picture? 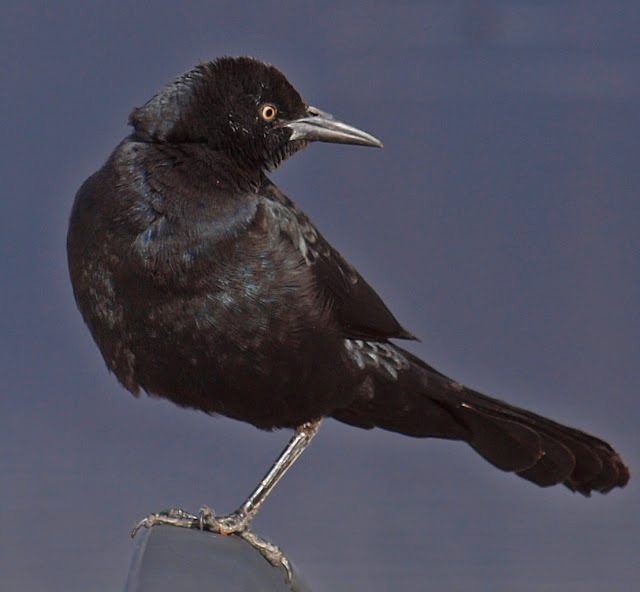 I've see amputee Grackles pretty often, but it still calls for a double-take. Robert, excellent shots of the white-faced ibises. Love the fashion shot of the grackle too! I hope I can find time to visit some of those blogs. thanks for including me on the list!